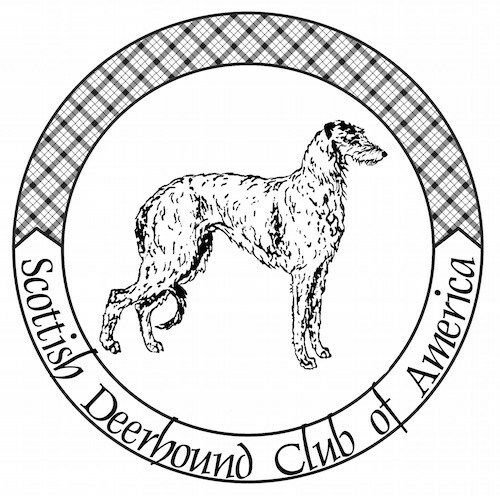 The Scottish Deerhound Club of America records collect some of the official materials created by the club, particularly those related to its publication The Claymore. The collection also contains a fair amount of catalogs on Scottish Deerhound specialty shows and futurity shows, a collection of newsletters and pedigrees from foreign Scottish Deerhound clubs, and a collection of scrapbooks and other ephemera chronicling Scottish Deerhound history in photographs, news clippings, pedigrees, and other documents. As the larger beast of the chase became extinct or rare in England and southern Scotland, the more delicate, smooth Greyhound took the place of the larger Deerhound. The Highlands of Scotland, the last territory wherein the stag remained numerous in a wild state, became the last stronghold of this breed. In 1769 the breed physically and numerically ran very low. It was not until about 1825, when the restoration of the breed was very successfully undertaken by Archibald and Duncan McNeill, that the Deerhound regained his place of preeminence and former perfection. It is a well-established fact that the Scottish Deerhound of today closely conforms to authentic records of the 18th and 19th centuries in type, size and character. In character he is quiet, dignified, keen and alert, although not aggressive, has great persistence and indomitable courage. The collection has a fairly wide variety of types of materials that may appeal to a variety of researchers. The particular strength of the collection lies in its specialty show catalogs, collected ephemera, and foreign materials. Series 1: Club Records contains some of the official records of the SDCA’s operations. Of particular note here are the materials from regional clubs, especially regional club newsletters, which may have more detailed and region-based knowledge on the breed and club operations. Series 2: The Claymore contains a run of club’s main publication but also contains some files maintained by the Claymore staff including some submitted illustrations, photographs, and history of the breed. More issues of The Claymore can be found on the Library shelves at the AKC. Series 3: Collected Materials and Ephemera includes the bulk of the photographs and American pedigrees that are within the collection. The scrapbooks may be of particular interest as they contain both photographs and clippings across a breadth of years giving a curated picture of the breed’s history. Series 4: Shows mainly contains catalogs of shows with the bulk of them being National Specialty shows and Futirities held by the SDCA. Series 5: Foreign Materials includes the variety of foreign materials collected by the club. Most of the material included is publications from these foreign clubs, but researchers may also find catalogs from Australian and English shows as well as several books of English and Australian pedigrees. Not all the materials in this series are in English as some of the publications in this series come from Finland and The Netherlands. Materials are in English, Finnish, and Dutch. Gift of the Scottish Deerhound Club of America. AKE 20.1 George Shepherd Paige Papers (1880s-1930s) – a resource on the first Scottish Deerhounds in America kept and bred at Dunrobin Kennels, owned by the Paige family. Includes pedigrees, kennel diaries, ledgers, show awards, and photographs pertaining to these Deerhounds.